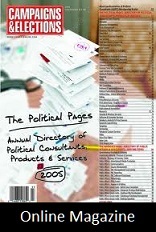 Delaware is the 8th least conservative state in the nation, voting 17.71% less Republican in the 2008 presidential elections than the national average and it is ranked as the 48th most Republican state of all 50 in the nation. Add to that the fact that incumbent, liberal Jeff Markell has had a relatively non-controversial tenure in office and has already accumulated a campaign war chest of nearly $2 million, and that his opponent is a relatively unknown and underfunded Republican challenger, and what do you expect the results to be? Cragg, who has spent most of his career in Insurance Marketing and Management, owns a Mailboxes Etc franchise and real estate in the Wilmington area. Prior to his run for Governor he served as co-chair of the New Castle County Republican Party and ran for insurance commissioner in 2004. It would seem that Cragg believes that the issues of job creation is the most powerful tool in his campaign arsenal and so he is making the focus of his race. Nonetheless; in a state with a total estimated population of 907,oo0, having registered Democrats outnumber registered Republicans by more than 110,000 is a significant challenge even for veteran campaigners and the most experienced of politicians. So Cragg is essentially fighting, to say the least, an uphill battle. 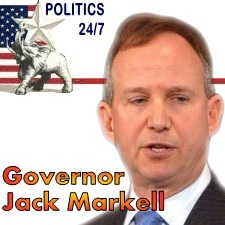 Especially given that this is a presidential election year and at the top of the ticket is a liberal President that will bring out supporters of Cragg’s opponent, incumbent Governor Jack Markell, in droves. 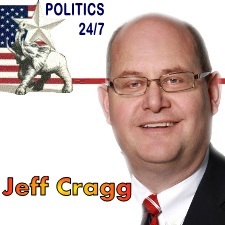 So there is little light at the end of the campaign tunnel for Jeff Cragg, but hope springs eternal. If Governor Markell is caught in bed with an underage boy, Delawareans might just give Cragg a second, or for most, a first look. Or we at least hope they would.